Jesus was always giving to people. He gave friendship and love and kindness. He gave health to the sick. He gave sight to the blind and hearing to the deaf. Now he was going to give the most precious gift of all. That was his life. It is hard to believe that there were people who hated Jesus. But there were many. They did not understand him. 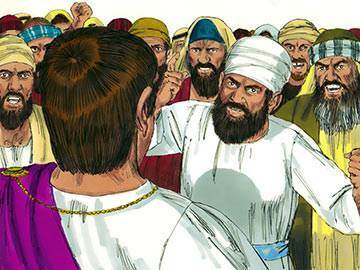 Jesus would not do as his enemies wished. He would do right no matter what happened. He would be true to God in spite of everything. So his enemies grew more and more angry. They said, “We will kill this Jesus.” And now they were about to do it. One evening Jesus and his friends had supper together. Then they went out to a quiet garden. There Jesus’ enemies came and took him. 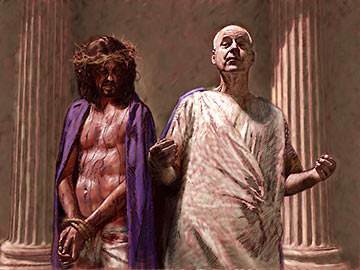 They led the leaders and chief priests together to Pilate, the governor. “No! 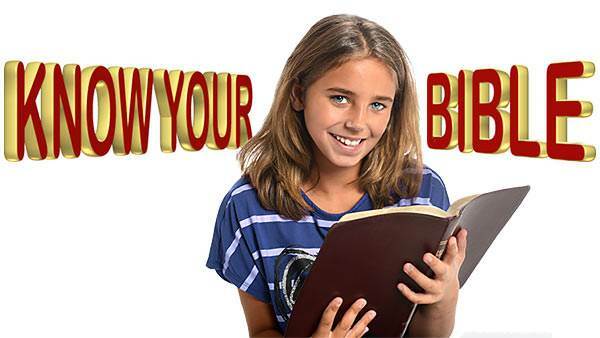 No!” cried Jesus’ enemies. 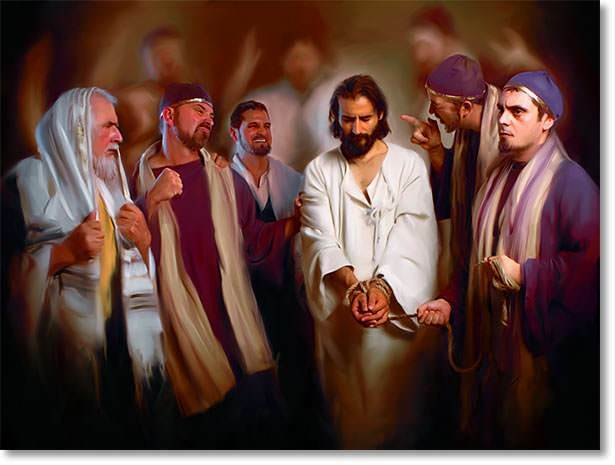 “We want this man put to death.” Pilate wanted to let Jesus go. 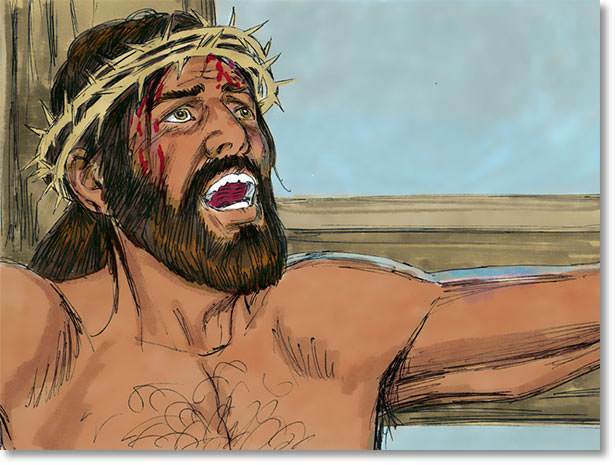 But his enemies cried, “Crucify him! 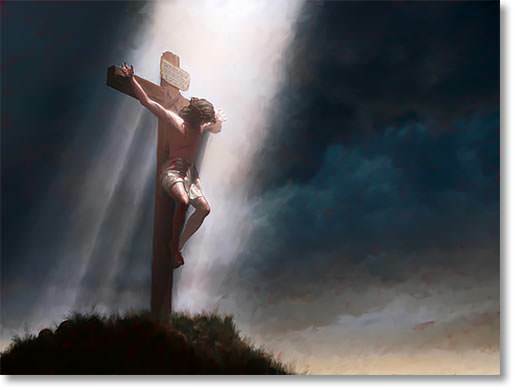 Crucify him!” When a man was crucified he was nailed to a wooden cross and so put to death. “Crucify him! Crucify him!” cried the enemies. So Pilate let Jesus’ enemies have him. They led Jesus away to a place outside the city. There they hung him on a cross. 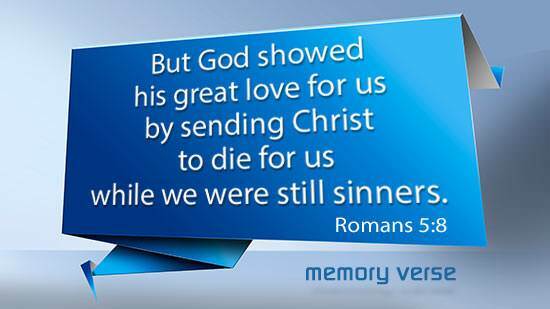 On each side of his cross was another cross. 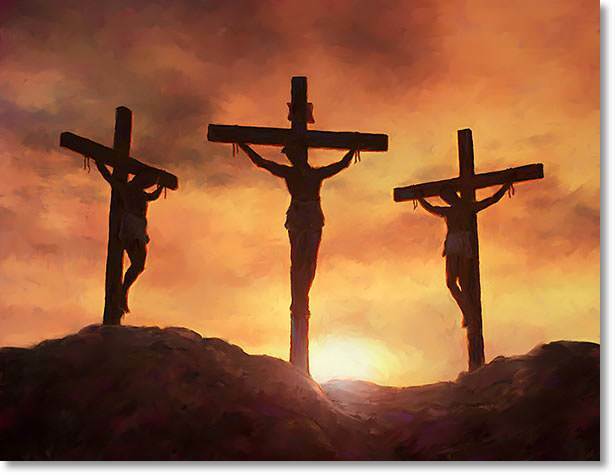 On each cross hung a thief. The thieves had done wrong. But Jesus had not. Jesus hung on the cross a long, long time. He was in great pain, but he would not complain. He was quiet most of the time. 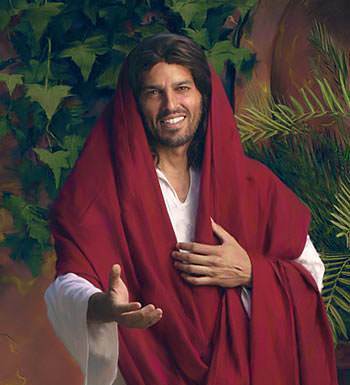 At last he cried out loudly, “Father, I give myself into your hands.” Then Jesus was still. His life was gone. He had given it for his friends.